We’ve pretty much all studied the English language for many years already in our lives before making decisions about third level education. That English is a whole different beast than the one that’s studied in universities. Earlier you’ve simply studied how to use the language. When studying English at a university, you will get the chance to see the power of language up close. You can take up the quest of learning the intricacies of literature and how it affects the reader. You can critically analyse media texts and through them power structures prevalent in society. You can see for yourself how the English language came about through its infancy to the present lingua franca and how the history is funneled to the present day. You will have the chance to study simply how the language itself is constructed. Perhaps you will want to delve in to the peculiar process of translation, where the diversity of different cultures and languages will become apparent and you will see why language is such a strong identity builder. Naturally, you can also learn the specifics of teaching a language to others, how language acquisition works, why language is such a special human feature, and how its best transferred to others for the benefit of us all. While having the chance to do all this, you will also have a chance to join the merriest bunch of people out there that makes all the aforementioned studying just that much more fun. 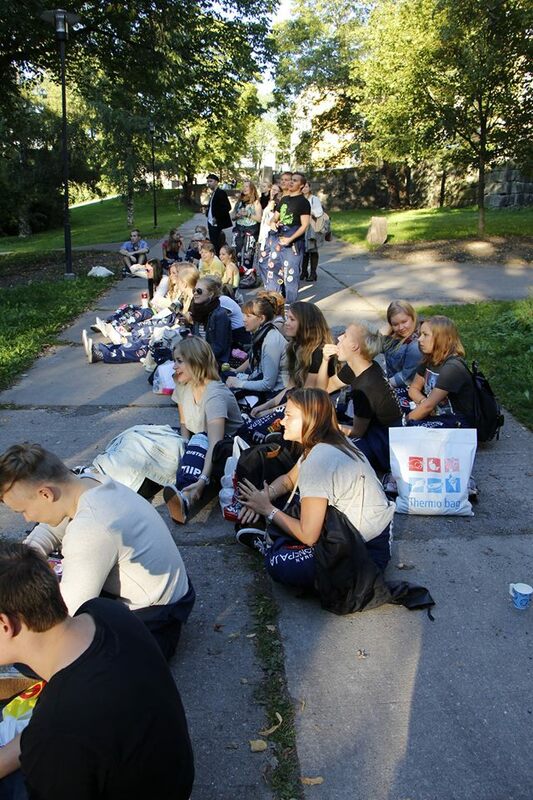 I’m of course talking about the student organization for English students in the University of Turku – Anglica. Anglica is a very open, welcoming and active organization that organizes a variety of events for students. These can include anything like board game nights, movie nights, various sports events, sitz and nightclub parties, visits to a theater and other cultural events as well as just casual hangouts. The best thing about these events is after all the people. There seems to be a kind of a kindred spirit among Anglicans. We’re all different of course but it feels like there’s something similar about us all. That makes it easy to get on board and meet new people. I am one of the two members in the board of Anglica responsible for events and I can tell that I am already looking forward to seeing many new faces in the events to come next autumn. English students exploring a world of possibilities.